After years of usage I started to find FAKE’s Target syntax less expressive than it could be. I developed multiple variants of a “Task” library to replace it that was available via gist, sometimes tweeting about it in answer to discussions but never clearly releasing it. With FAKE 5 moving to small modules it’s the occasion to choose a good name “BuildTask” and release it on NuGet with the source code on GitHub. Target has a very stringly-typed API, strings are used everywhere as identifiers, with the consequence that their value is only verified when the script is executed. In BuildTask each created task returns a value that represent it and the compiler check the value usage as with any other variable. Note: BuildTask.createFn still provide the function-syntax if you need it. But the dependencies here are simplified, they don’t reflect the reality of target dependencies. Clean shouldn’t be mandatory except on CI, packaging the app shouldn’t mandate running the tests and building the tests shouldn’t require building the app. And while the linear version was pretty readable, it isn’t the case here. The reason is that we are defining a directed acyclic graph by listing its edges, but there is another text representation of a DAG that is much more readable: listing all preceding vertex for each vertex. The direct consequence of the strongly-typed syntax along with the dependency syntax is that BuildTask enforces a strict ordering of the build script. Exactly as F# requires for functions inside a module. While I feared this consequence at first, after converting quite a lot of FAKE scripts it’s easy to adopt and make the build script order more logical for developers familiar with F#. Trace.trace "Hello World from FAKE"
I invite any FAKE user whenever they like the current syntax or not to try it (NuGet) and tell me what they think on twitter or in a GitHub issue. Stidgen is an old (4 years) project of mine that was created to fill a professional need but that I never really advertised until now. The name stands for “Strongly Typed ID types GENerator”. What it does is to generate C# types to wrap simple types used as identifiers (string -> UserId, Guid -> TweetId, …) to have nicely typed code. An immutable structure with a single member, something that the JIT can recognize and optimize away. Casts from/to the underlying types. 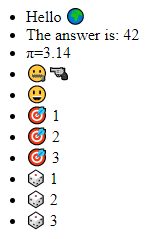 Equality members, interfaces and operators. Interning of string when it’s the underlying type, with nice optimizations to Equal and GetHashCode. I’ll try to blog about them it’s quite an interesting optimization. ToString() and formattable overloads are lifted. 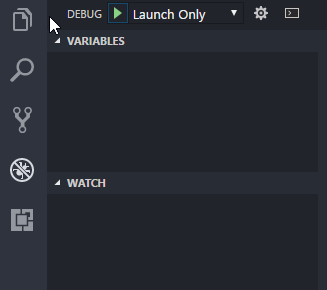 DebuggerDisplay is present to simplify debugging. While stidgen is written in F# it doesn’t provide a way to generate ID types in F#. One of the reason is that generating formatted F# code is quite hard, but the other is that there is already 80% of the features directly available in the language. Stidgen is an F# project that uses Roslyn the C# compiler platform to generate nicely formatted code automatically. Stidgen is a project that we use extensively at work but I feel that we might not be the only ones that want strongly typed code in a C# codebase. So if you have this need or a similar one, why not try it ? To optimize React we’ll need to dig into how it works and I’ll show a series of specific optimizations to use. The mechanism is described in a lot of details on the Reconciliation page of React documentation, I won’t repeat the details but essentially React Keep a representation of what it’s element tree is currently, and each time a change need to propagate it will evaluate what the element tree should now be and apply the diff. Change of element type or component type makes React abandon any DOM diffing and the old tree is destroyed in favor of the new one. This should be a rare occurrence, any big DOM change is pretty slow as it will involve a lot of destruction / creation by the browser and a lot of reflowing. On the other hand we want this to happen if we know that the HTML elements under some Component will drastically change: no need to force React to diff 100s of elements if we know that it’s a very different page that is shown. The diff also has a price. React mostly compares elements in order so adding an element at the start of a parent will change ALL children. The key attribute should be used to override this behaviour for anything that is more or less a list of elements. Keys should also be stable, an array index for example is a pretty bad key as it’s nearly what React does when there are no keys. The fastest way to render a component is to not render it at all, so shouldComponentUpdate (And PureComponent that is using it) are the best tools for us. Functional components are always rendered, but they are cheaper than normal ones as all the lifetime methods are bypassed too. The first optimization that is especially useful for us in F# is the PureComponent. It’s a component that only updates when one of the elements in its props or state changed and the comparison is done in a shallow way (by comparing references). It’s ideal when everything you manipulate is immutable, you know, like F# records 😉. While our canary has no reason to update, each time the button is clicked it will actually re-render. But as soon as we convert it to a PureComponent it’s not updating anymore: none of its props or state change so react doesn’t even call render(). If you look in the previous samples, each time I pass a function it’s never a lambda declared directly in render() or even a member reference but it’s a field that points to a member. The reason for that is that for react to not apply changes for DOM elements or for PureComponent the references must be the same and lambdas are re-recreated each time so their reference would be different. It seem that Chantilly survives but in fact it’s an illusion, a new element is always created at the end with his name, and all others are mutated. We could have kept using yield! instead of using ofList and it would have worked here with only the keys but it’s better to always use ofList. By using it an array is passed to React and it will warn us on the console if we forget to use key. It also creates a new scope, avoiding problems if we wanted to show another list in the same parent with keys in common (duplicate keys under a same parent aren’t supposed to happen). This is more of a current Fable issue/bug that might be solved at some point than something coming from React but it can wreck performance completely. This problem has exactly the same cause as the one evoked in Beware: Passing functions but it has a simple workaround: use the function via ofFunction in the same module in a non-inline function and expose that instead of the Functional Component itself. // is re-created on each change ! // Remove 'inline' here and the problem is solved, MAGIC ! Not a lot more to say, avoid render(), don’t kill the 🐤️🐤️🐤️ in the Fable mine and everything will be fine ! Next article will be on Elmish and how it ties with all of that. In this series of posts I plan to show how some common React constructs are done in F# and what to look for when optimizing them. let element = str "Hello 🌍"
As F# doesn’t have any JSX-like transform creating React elements is done as explained in the React Without JSX article, except that instead of directly using createElement a bunch of helpers are available in the Fable.Helpers.React module. For HTML elements the resulting syntax is strongly inspired by the Elm one. // The first parameter is the properties of the elements. While it is possible to use React as a templating engine for HTML by using only built-in components, what really unlocks the power of React and where lies the biggest potential for optimization is in its user-defined components. The easiest to use F# components are Functional ones, they don’t need a class, a simple function taking props and returning a ReactElement will do. They can then be created using the ofType helper. let element = welcome "🌍"
Using sprintf in the F# sample could have seemed natural but using React for it is a lot better on a performance standpoint as we’ll see later. To create an user-defined component in F# a class must be created that inherit from Fable.React.Component<'props,'state> and implement at least the mandatory render() method that returns a ReactElement. 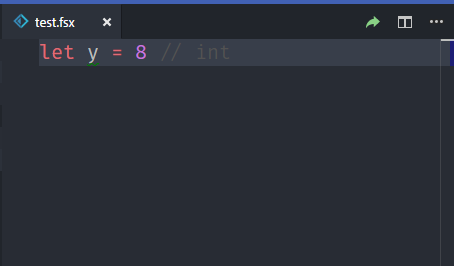 Nothing special here, the only gotcha is that the props passed in the primary constructor even though they are in scope in the render() method should not be used. Note: This sample uses a few react-friendly optimizations that will be the subject of the second post. Nothing special this time and for anyone that know both React and Fable there was not a lot of new information but we’ll expand it next time !